The history of Heathrow Airport dates back to 1929, in which year a small airport was opened near the hamlet of Heathrow, which name it got many years later. The airport was expanded in the Second World War, originally with the idea of using it for military long-haul flights to the Far East, but by the time the construction was completed, the war was over. After the war, the airport received a civil aviation destination and opened in 1946 as London Airport. The name Heathrow Airport was given in 1966. Distance from city center: 23 km. Which airlines fly to Heathrow Airport? There are more airlines flying to Heathrow Airport. See here for a complete list of airlines flying to Heathrow Airport or look for flights to London. 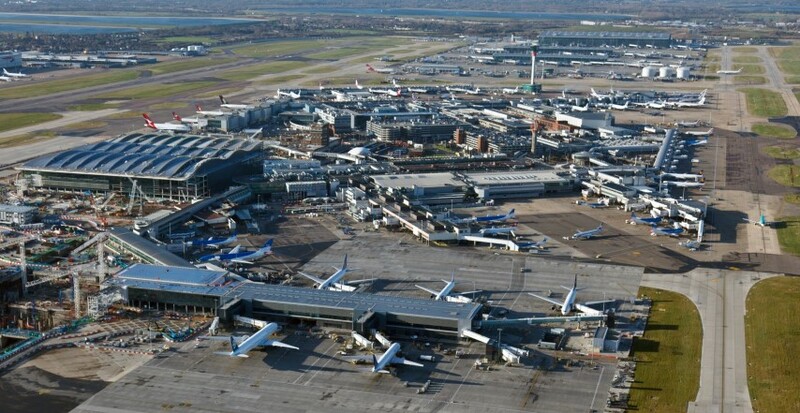 How many runways and passenger terminals does Heathrow Airport have? In the 1950s Heathrow had six (short) runways in the form of a hexagram. With the advent of jet engines it became necessary to extend it. Only two of the original six have been extended and are still in use. On aerial photographs, the old structure is still visible, with the four unused lanes now being used as taxiways. Heathrow has four terminals, numbered 2 through 5. The old Terminal 1 closed in 2015 and will be merged with Terminal 2. 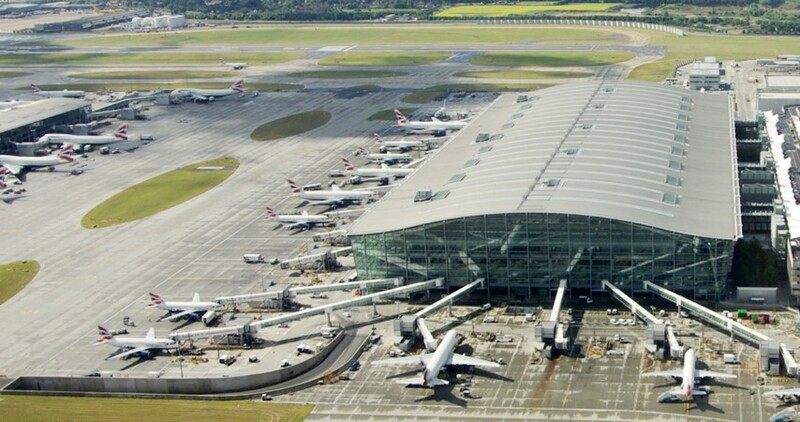 The newest Terminal 5 opened in 2008 at a cost of 4.3 billion pounds. This new terminal is used by British Airways and Iberia; terminal 2 by Star Alliance companies, Terminal 3 by OneWorld and Terminal 4 by Skyteam. Heathrow Airport is located about 23 km west of central London. How to get from the airport to London city centre by public transport? The Heathrow Express departs for Paddington Station every 15 minutes, takes about 15 to 20 minutes and costs GBP 16.50 for a single trip. The trains leave from Heathrow Central Station (Terminal 2 and 3) and Terminal 5. 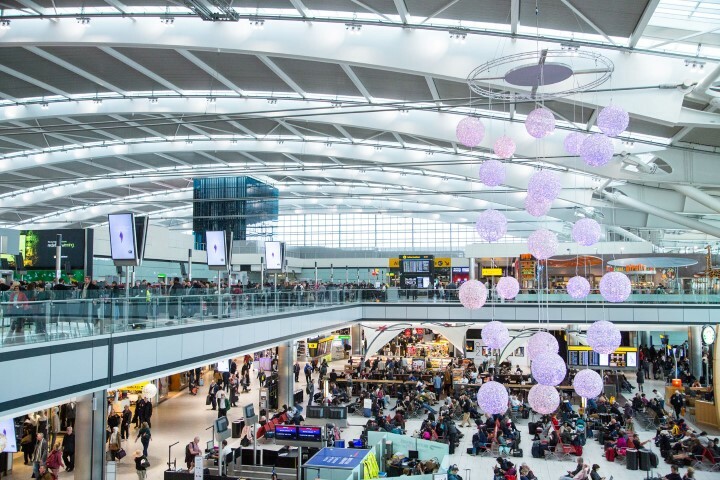 The Heathrow Connect is a stopover to Paddington and departs only from Heathrow Central Station (single trip GPB 5). In addition, you can also use the London Underground Piccadilly Line that stops at all terminals. A trip to the center takes about three-quarter of an hour and a ticket costs GPB 5.50. All local and regional buses depart from the Heathrow Airport central bus station. Every 30 minutes there is a bus to London Victoria Coach Station (40 minutes at GPB 4.00, order online). At night, when the trains and Underground do not go you can use the N9 night bus (over one hour, GPB 2). See for tickets and schedule: trains: heathrowexpress.com . How much does a taxi cost from the airport to London city centre? Outside each terminal are the famous black cabs waiting. The duration and cost of a trip to central London is highly dependent on the hustle and bustle of the day and can range from 45 minutes to two hours with a fare of easily GPB 55. It is cheaper to order a minicab beforehand: Heathrow Airport Taxi, for example, offers a ride to London SW1 for GPB 35. Website of the airport taxi company : taxiheathrowlhr.co.uk. 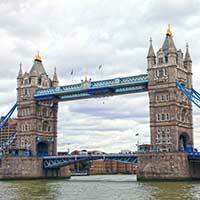 What are popular destinations from Heathrow Airport?